While Disney parks are a family destination, it can sometimes be tough to please every member of the gang. Your teenagers aren’t going to be entertained by Disney Junior Dance Party and your toddlers aren’t tall enough to ride Expedition Everest. So what are some attractions that everyone in the family not only can ride, but will be equally excited about? Here are our choices. 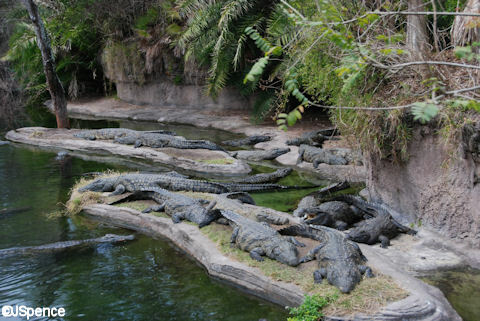 Everyone in the group will love Animal Kingdom‘s flagship attraction! Kids of all ages love trying to spot the wild creatures in their “natural” habitat, and no teenager is too cool to not be impressed by lions, rhinos, and crocs (oh my?). Kilimanjaro Safaris is definitely a must-do attraction for the whole family. Yo-ho, yo-ho a pirate’s life for your whole family! Pirates of the Caribbean is a Disney classic that’s been a fan-favorite since it debuted. 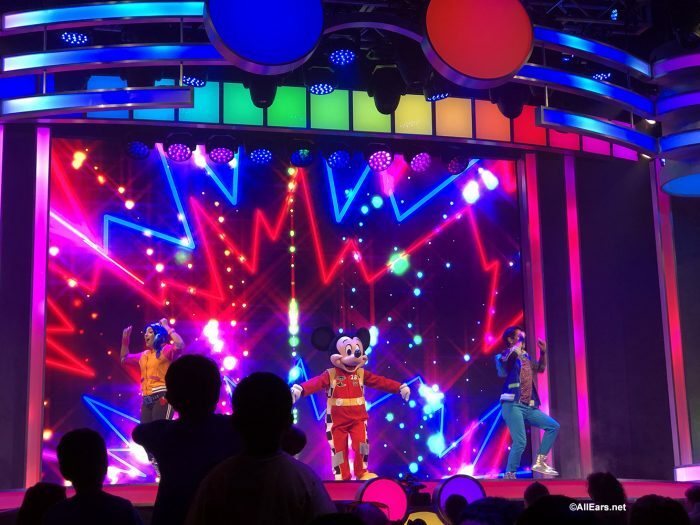 There’s enough action for the teenagers, but it’s not too loud or scary for the toddlers. 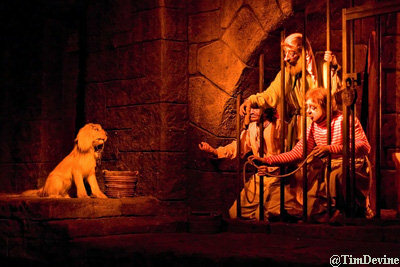 Plus, it’s basically a requirement that you ride Pirates during a trip to Disney. One of the most popular rides since it opened, Toy Story Mania is a 3D shooting game with Woody, Buzz, and the rest of the toys! Even if your little ones don’t fully understand the concept of the game, they will enjoy playing with the pull-string shooter and seeing some favorite characters. And teenagers … well, we don’t have to explain that they love electronic games, do we? 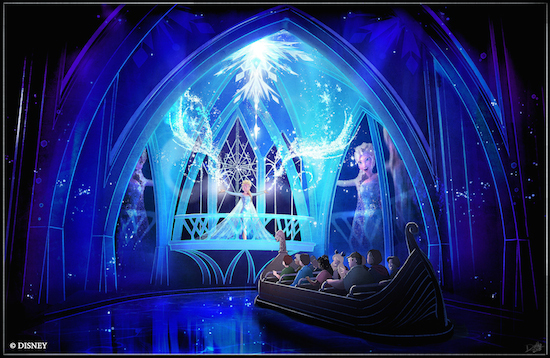 Yes, we know it’s a ride about Frozen (obviously.) Clearly, the toddlers will love it, especially the princess-crazy ones. But the reason we suggest it for teenagers as well is that it’s awesome! 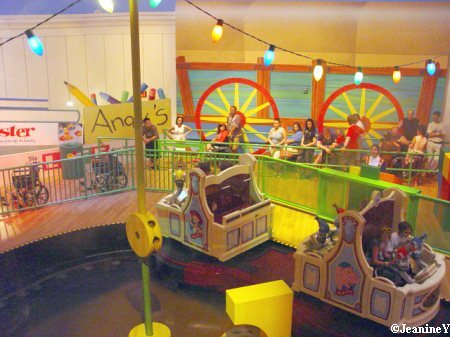 The animatronics are incredible, and the boats go backward and over a small drop, which is more exciting than some of the other princess dark rides. And come on, no matter who you are, you know you love the song “Let It Go” (even if you don’t want to admit it). Have a laugh with your favorite residents of Monstropolis. The Monsters, Inc. 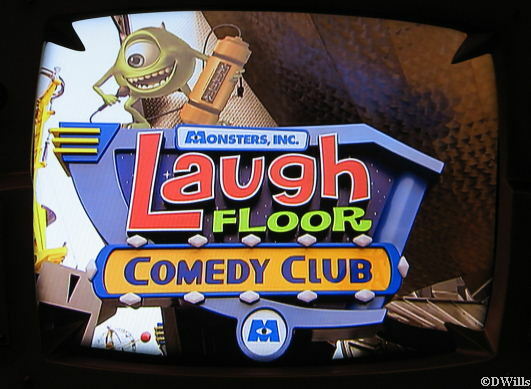 Laugh Floor takes you into a comedy club where Mike Wazowski and the gang are telling jokes to harvest your laughs for energy. Participants are chosen from the audience, and some of the jokes will go over your toddlers’ heads, but your teens will get them — even if they’re groaning at them. Plus your toddlers will enjoy seeing the monsters. Win-win. Festival of the Lion King is a 30-minute, Broadway-style production featuring the incredible soundtrack from the film. 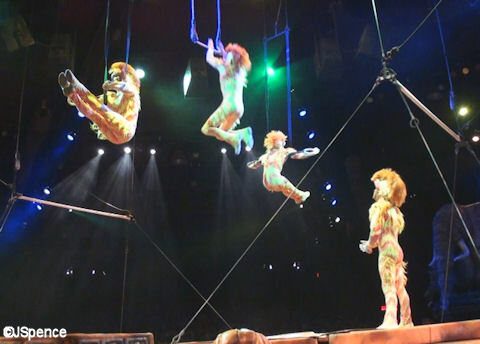 But not only that, the performance includes a fire dancer, aerialists, and acrobatic monkeys. If that won’t entertain the whole family, what will?! What are your favorite attractions that the whole family will enjoy? Let us know in the comments! There were 7, but they removed the designated smoking areas.